I NEED TO...deliver service management from the cloud. Get specific. Several delivery options to choose from. Spending time installing, maintaining, and securing the hardware and software you need to run your service management operation reduces your focus on what matters most—creating business value. You need a hassle-free way to support users and deliver services with the flexibility to respond to new business initiatives and growth. It’s time to dig out of that hole and let Ivanti lift you up to the clouds. Get your ITSM out of the 90s. An ITSM solution in the cloud gives you the flexibility and freedom to access enterprise-grade IT service desk functionality that’s easier to manage, maintain, and support future needs. You can’t deny it, sounds tempting right? Without the worry of spinning up hardware, you can get your service management operation up and running faster, minimising the impact on your users. Quickly and easily scale up or down the technology that supports your ITSM operation in response to your organisations changing opportunities, requirements and size. Let Ivanti take your ITSM operational security to a new level. Vulnerability scanning, access control, data back-ups and more — ensure your service desk operation is safeguarded. Experience the freedom to explore new ITSM projects. Ivanti's cloud ITSM solution lets you be more responsive, agile, and business focused. Let your innovations take flight. Stay current on ITSM features and IT trends or risk impacting the service users receive. Benefit from managed upgrades and maintenance, delivered regularly by our experts. Use fewer IT hardware administrative resources for manageing IT infrastructure. Spend more time on higher-level value add activity that moves the service management needle. Lower your cost of ownership and avoid unnecessary hardware capital expenditure. 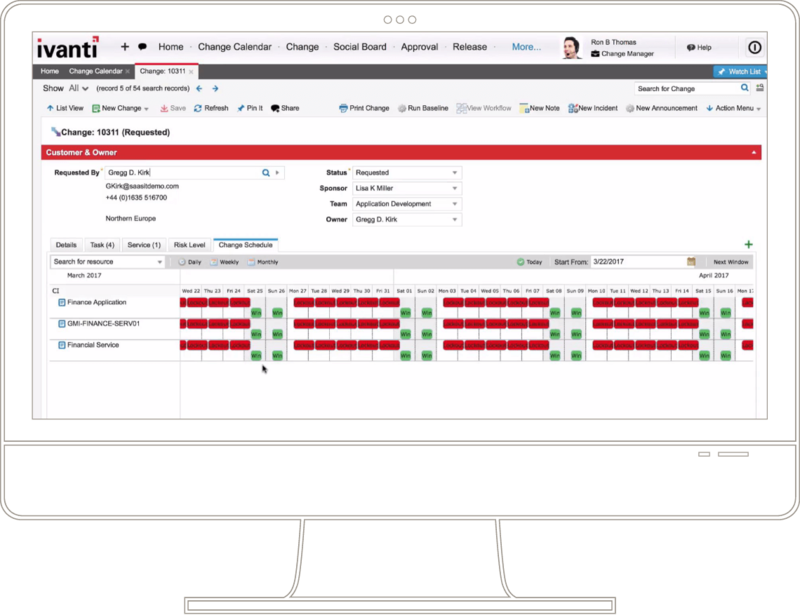 Subscribe to Ivanti's cloud-based, ITSM SaaS and more effectively manage your budgets. Ivanti offers a cloud-based ITSM solution that helps you get started faster and then takes you to the next level of ITSM operational maturity, but only when you’re good and ready. Delight your users and deliver IT service and support that creates value from day one with a solution that provides all the capabilities, integration, and automation you’d expect. It’s easy to use and easy to own. Deliver quality business services consistently from the cloud. Here’s why you should take a closer look. 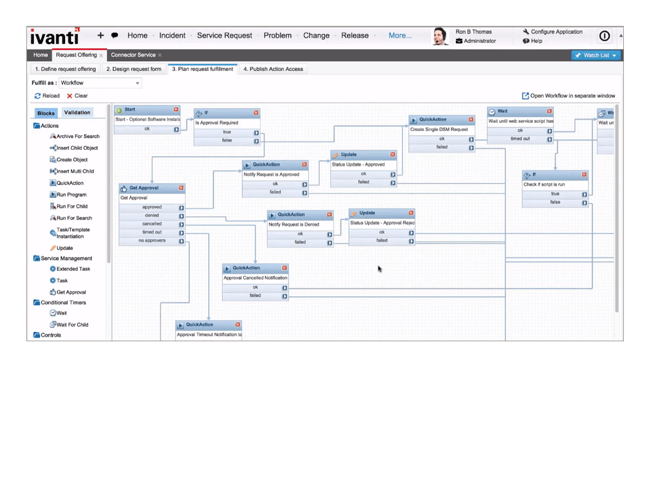 Our cloud-based ITSM will help you manage and automate the lifecycle of ITSM processes. Finally, you’ll have the data visibility and the ability to take action. Of course that means you can now optimise your services. As for your end users, they’ll be stunned by the beautiful images, the simple navigation, and the ability to get support from anywhere. Unsure about a complete cloud-based operation? No problem! Ivanti offers a hybrid model for those that need it. Taking action becomes easier with automation capabilities that connect ITSM processes with external IT Operations Management systems at no extra cost. An intuitive interface for desktop or mobile will impress your users while delivering the personalised data they need to be more effective. Drive best practise process improvement effortlessly knowing we’ve followed best practises for you.